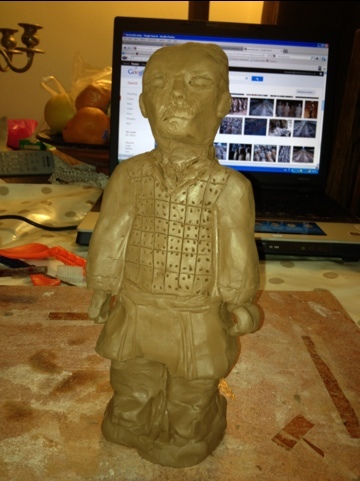 Year 5’s special project for Chinese New year this term is to create your own Terracotta Warrior. You will also need to create a project researching the Terracotta Army and present this to the class. You can create this in any form you choose, paper, card, painting, online, powerpoints or even video. See this video for a guide to creating your own Terracotta Army Warrior. Terracotta Warrior from @VERDANT VISION LTD on Vimeo. hi miss Haughy the terracotta army has got 6000 warriors and to protect Qin Shi in the after life. Wow, Akmal. Did you make all 6,000? !